KCA received a 2018 “Award of Merit” from Engineering News-Record (ENR) Southeast in the Airport/Transit Category for the Tampa International Airport (TIA) Rental Car Center (RCC) and SkyConnect Automated People Mover (APM) project for the Hillsborough County Aviation Authority (HCAA). This prestigious industry award is based on excellence in project management, innovation, safety, quality, and teamwork. KCA’s project will be highlighted in the October 29th Best Projects issue of ENR Southeast and celebrated at the Best Projects Awards luncheon November 1, 2018 at the Renaissance Orlando at Sea World. This $730 million design-build project for HCAA involved the design and construction of a RCC south of the Post Office at TIA. This facility includes a new building to house all rental car companies, parking garage, and open lot parking on 55 acres. 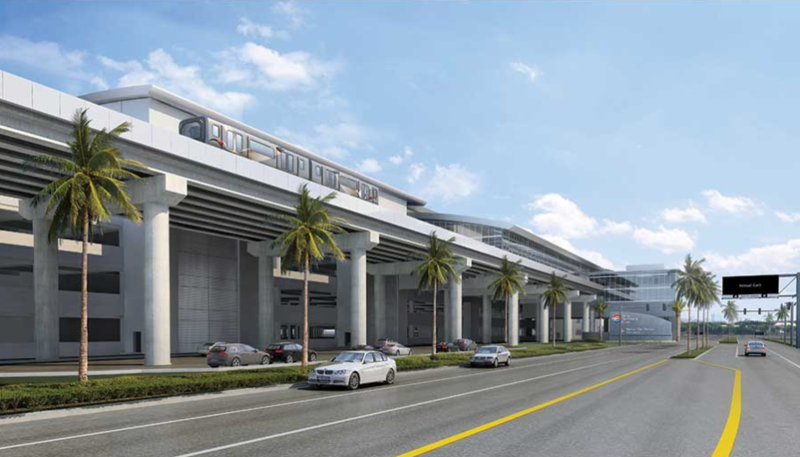 The design and construction of the infrastructure for an APM that runs between the RCC, economy parking lot, and the airport terminal was also included in this project. KCA performed civil engineering services including roadway design, water distribution system relocation and design, sanitary sewer collection system design, stormwater management system design, coordination of existing utility’s relocations, and coordination of surveyors and geotechnical engineers. An independent jury of design and construction industry leaders judged this year’s ENR Southeast’s Best Projects entries for top recognition in 18 specific categories. Congrats to the entire team including Project Manager, Curtis Sprunger, PE.